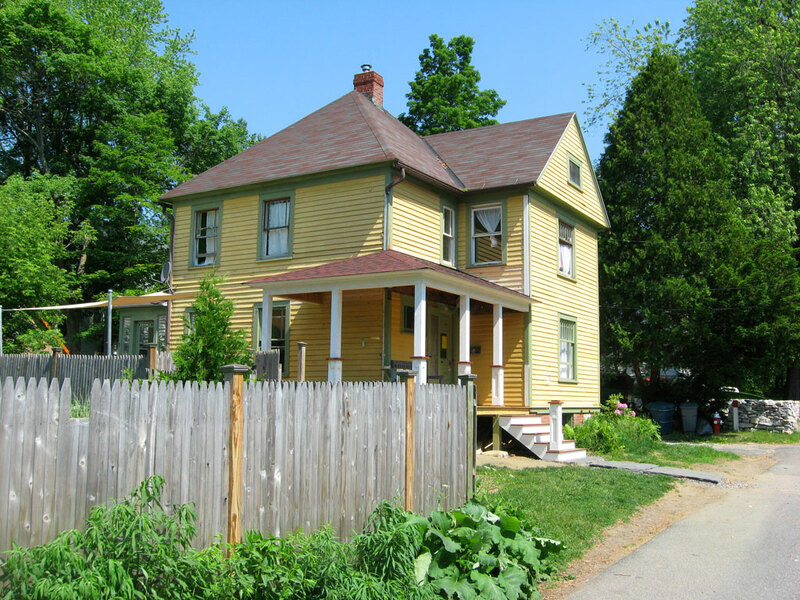 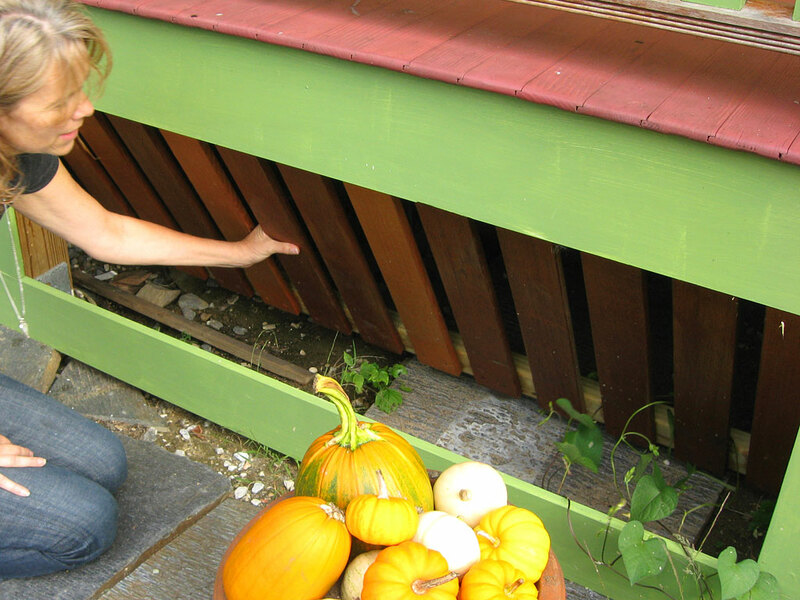 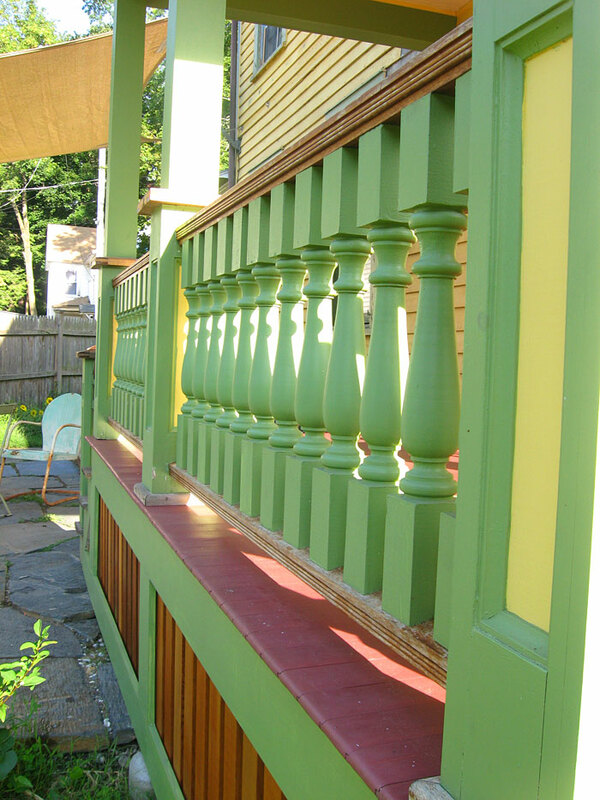 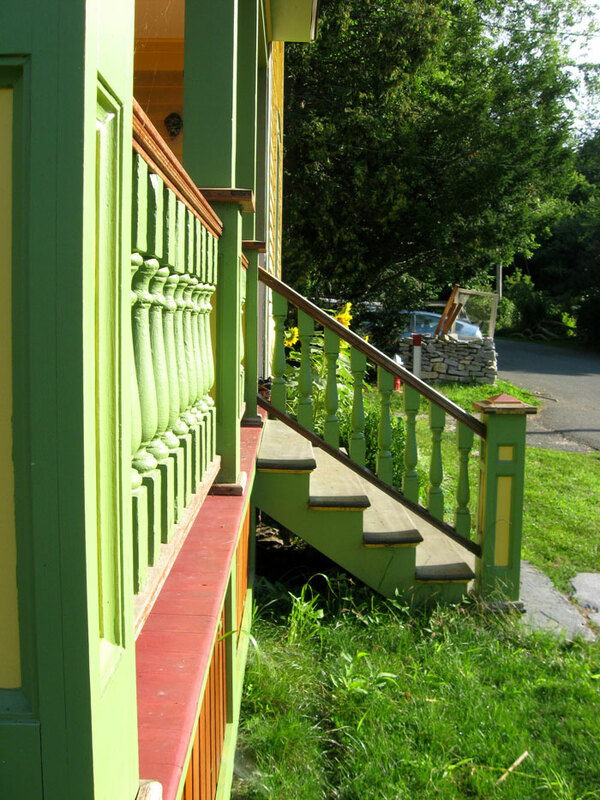 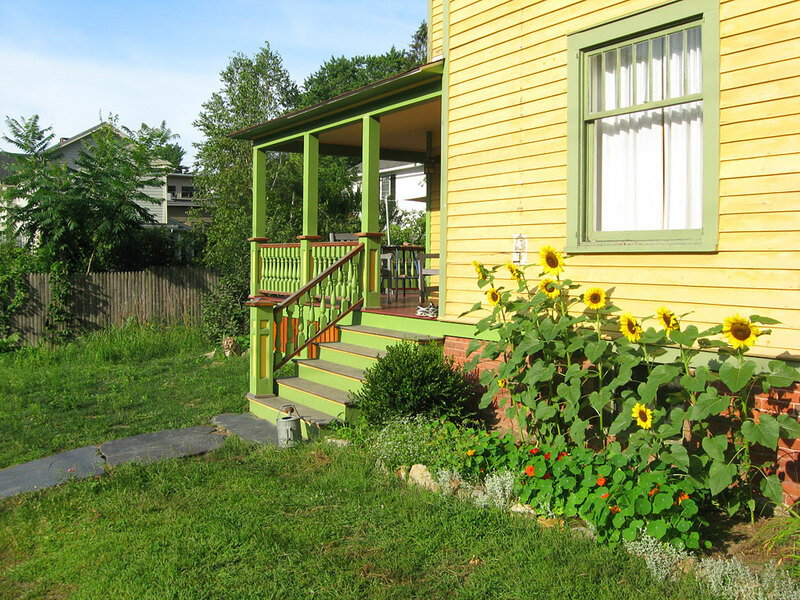 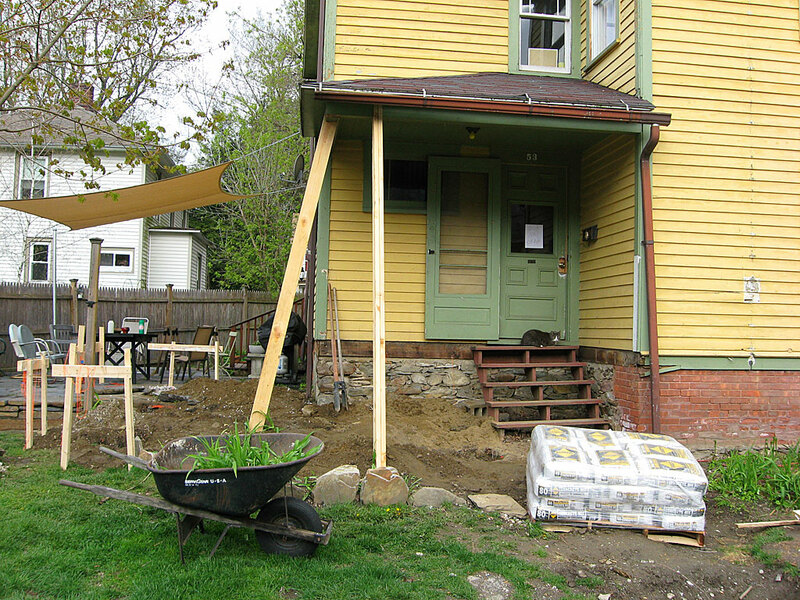 This was a great little project on a Victorian house in downtown Great Barrington. 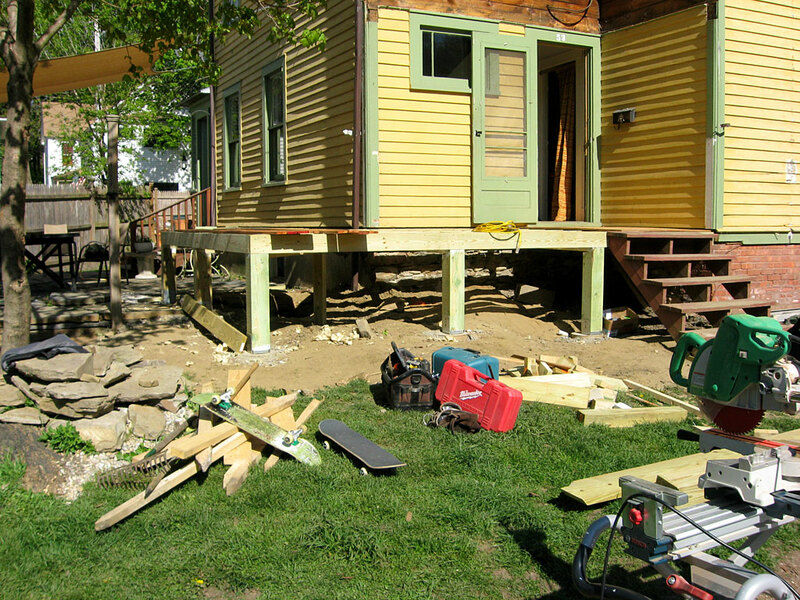 I wish I had remembered to take a before pic, but the whole structure came apart in my bare hands in about 5 minutes! 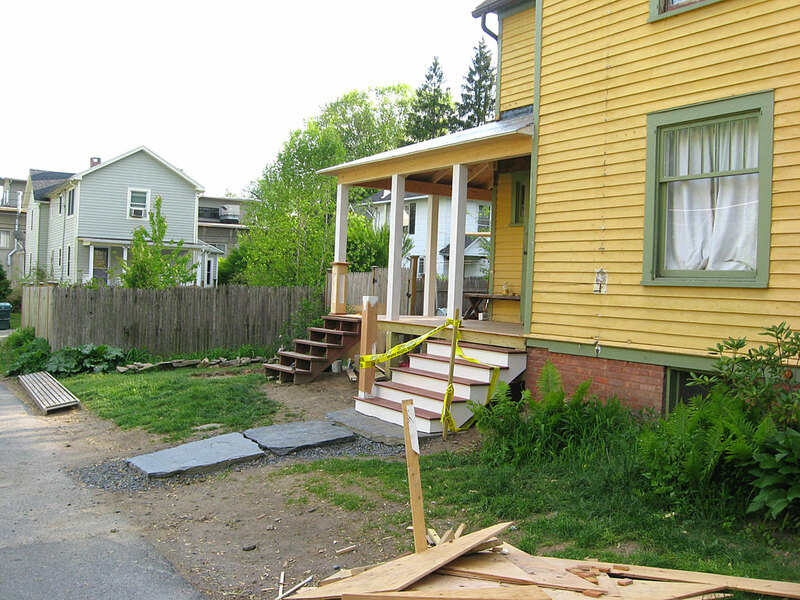 That’s how bad it was. 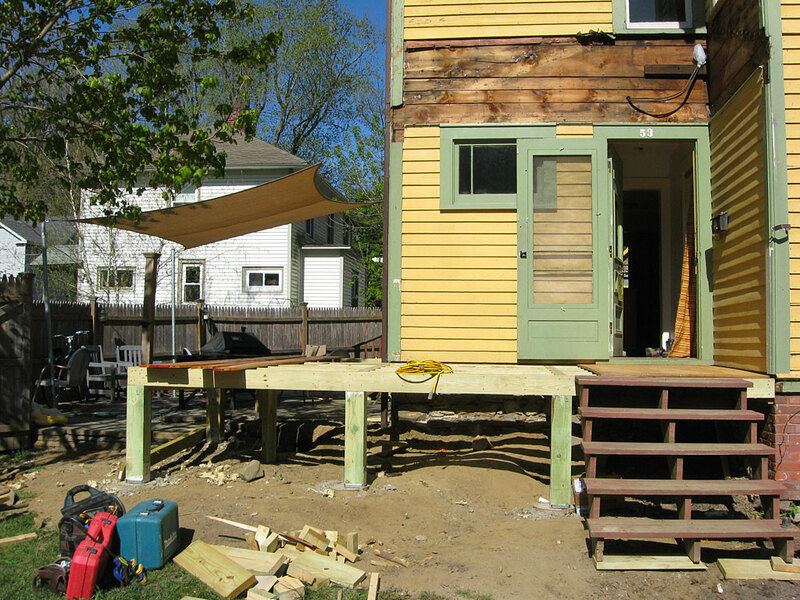 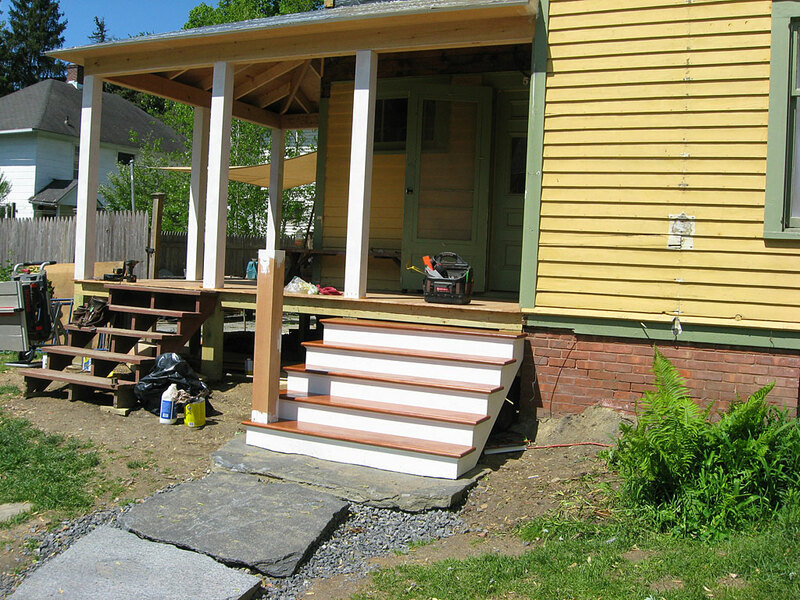 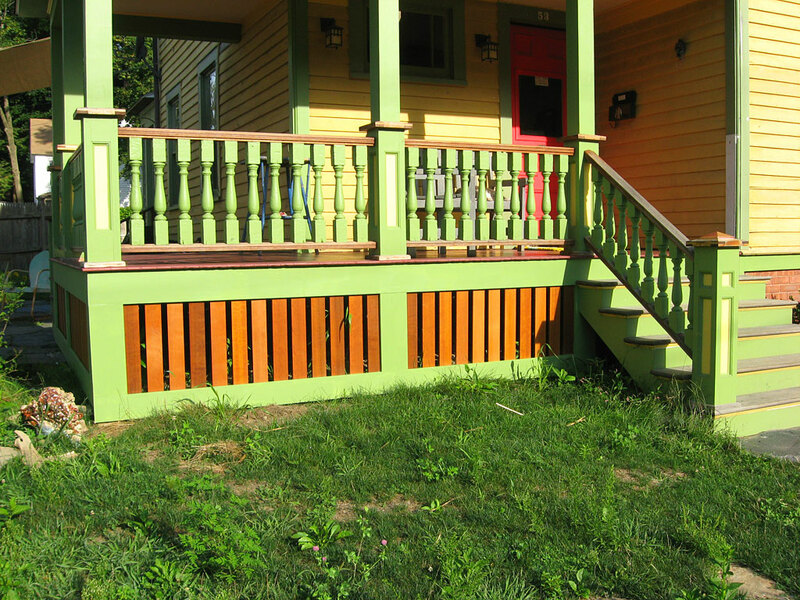 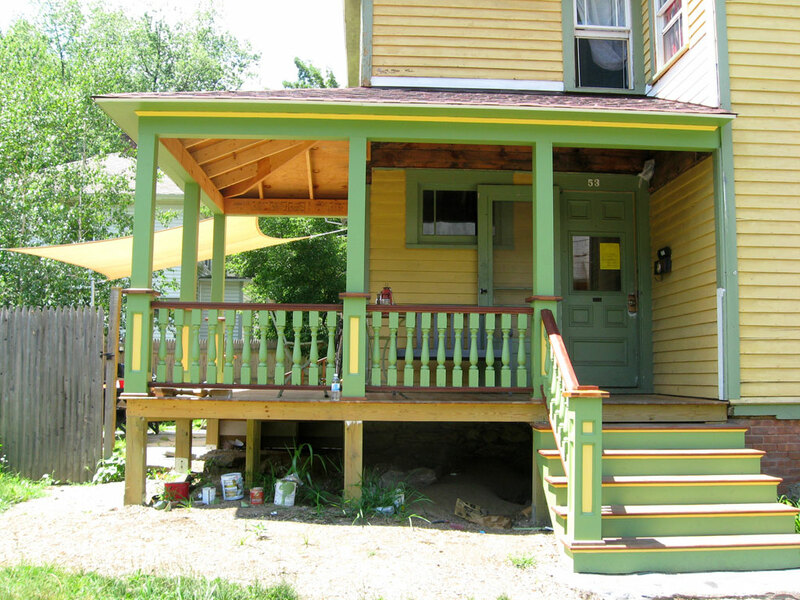 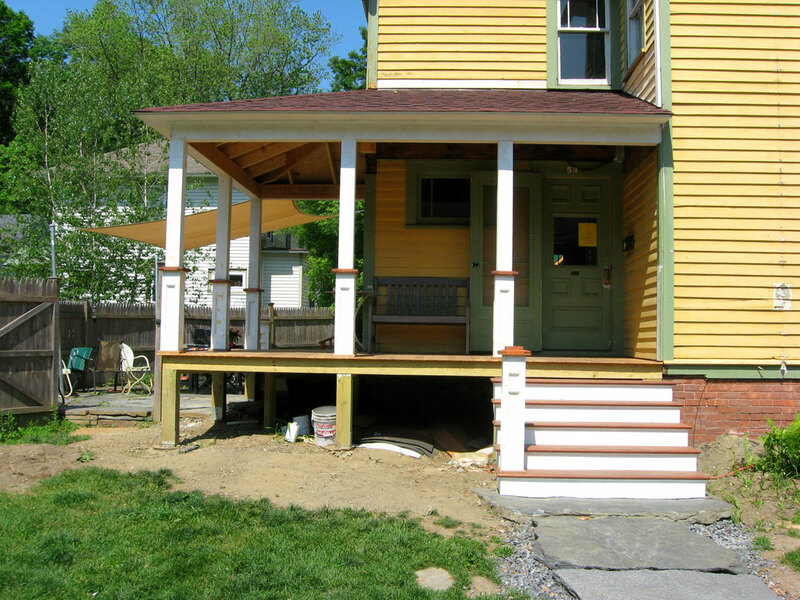 After the original 10X6 footprint was gutted, the owner decided to expand the porch to wrap around the corner. 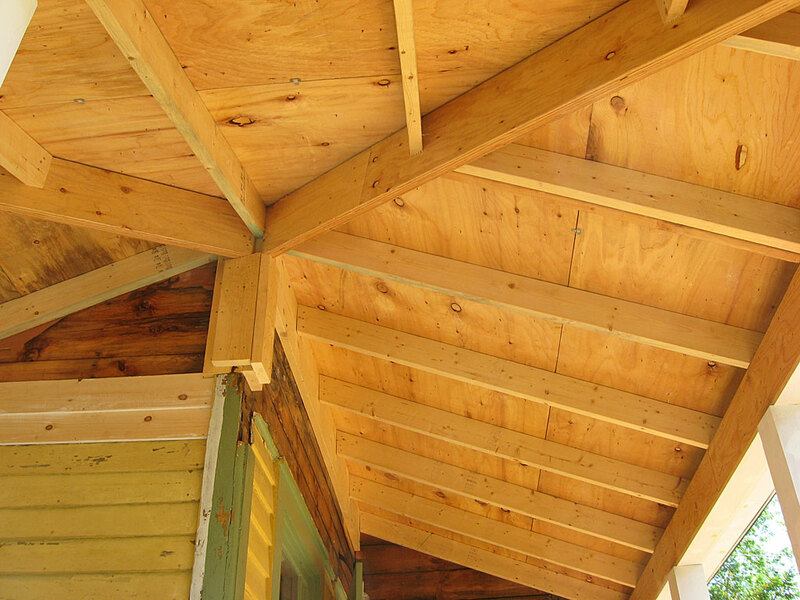 At that point it made the most sense to tear off the original roof and redo it all from scratch. 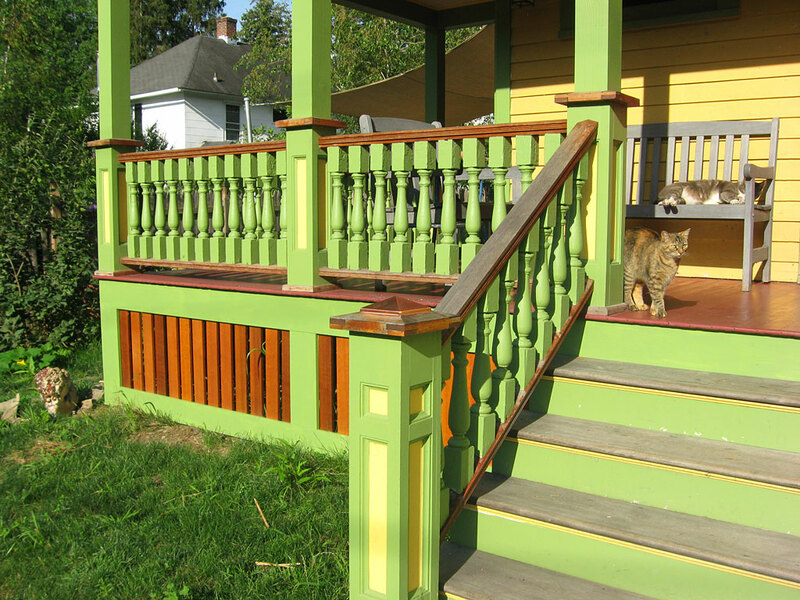 Some notable features of this porch include the Fir tongue and groove floor with herringbone corner detail, frame and panel post bottoms, hand turned balusters with custom milled railings, and two Mahogany staircases with mitered skirtboards. 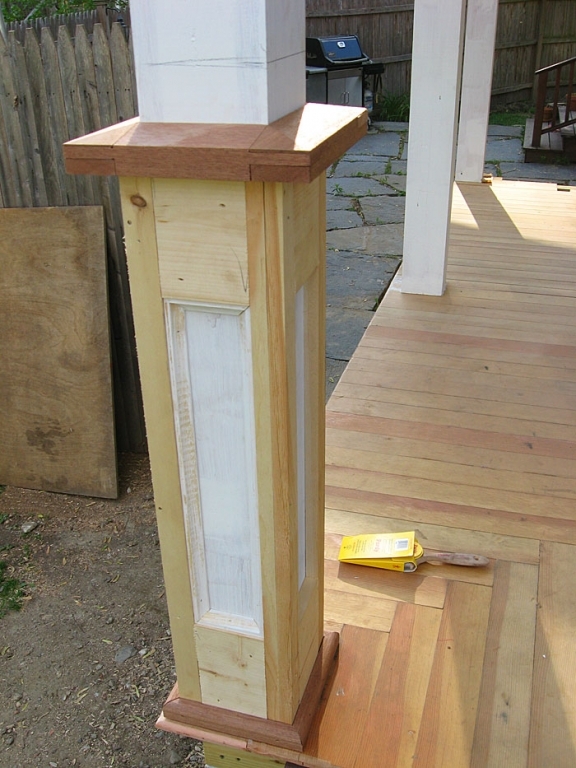 Another nifty element is the completely hidden access door, with one of the lattice panels hinged from above and latched behind the trim. 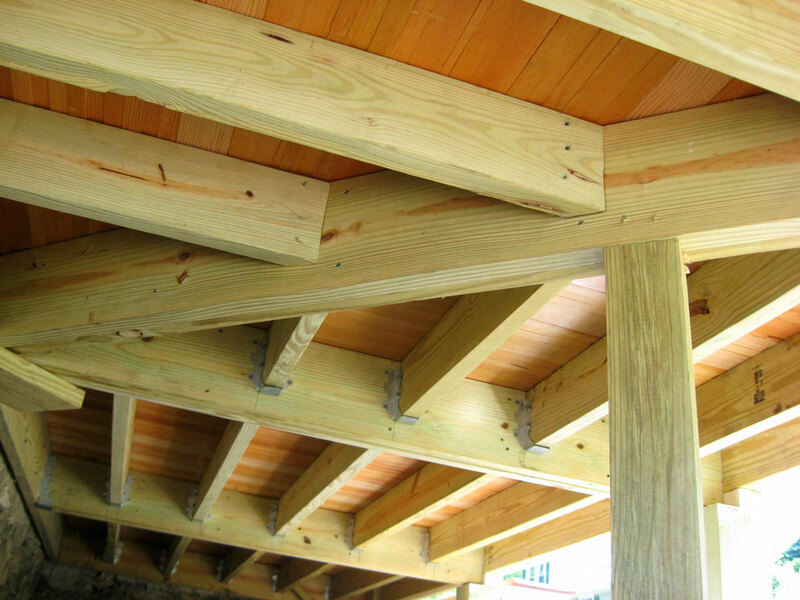 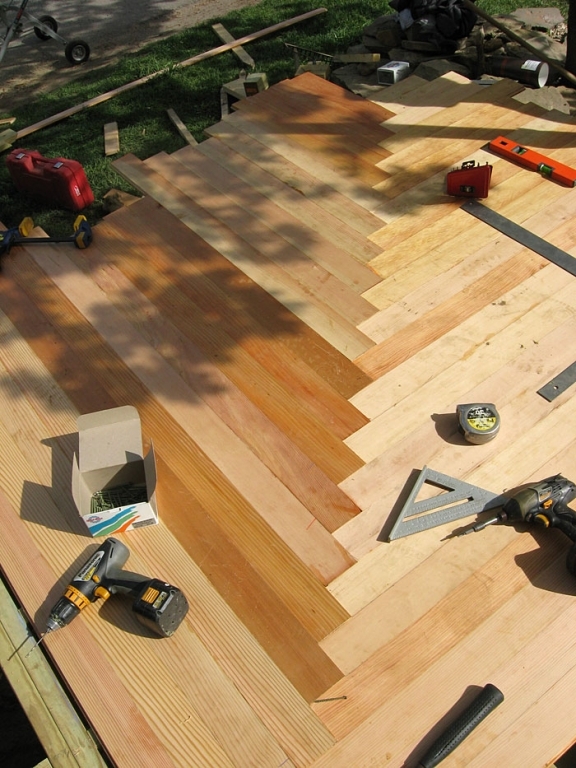 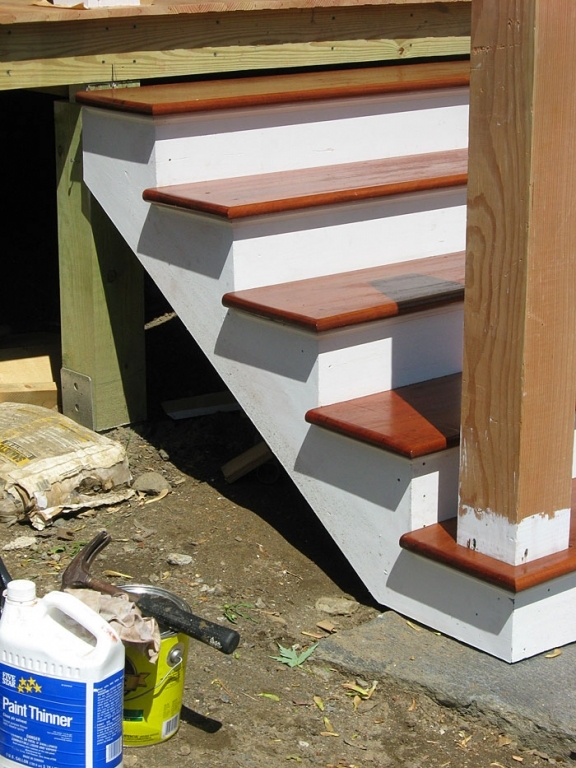 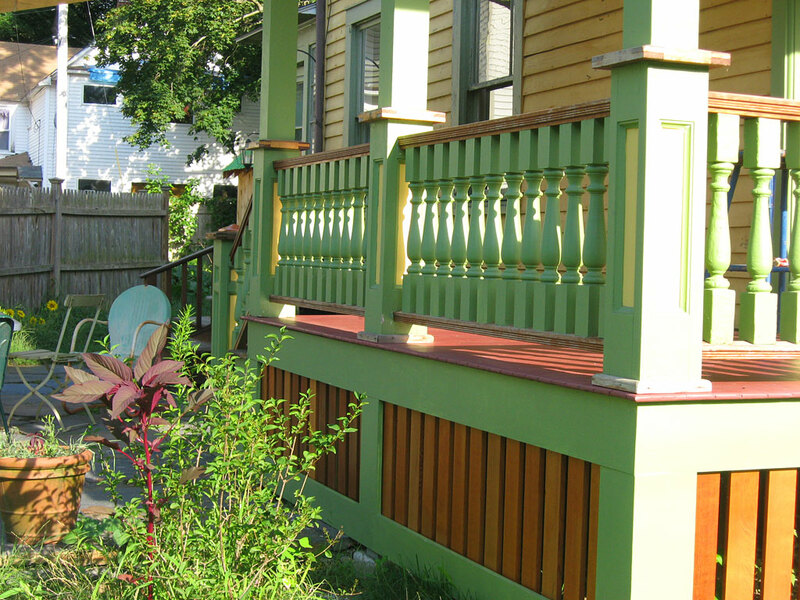 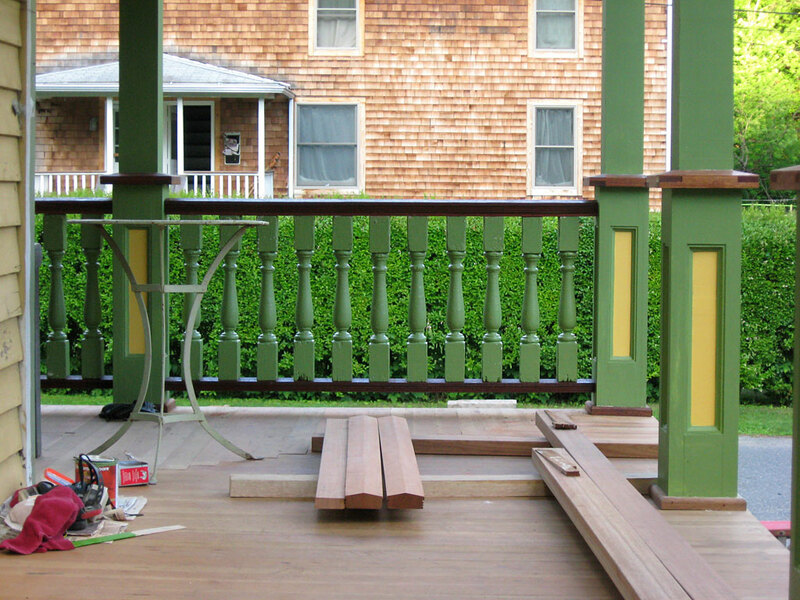 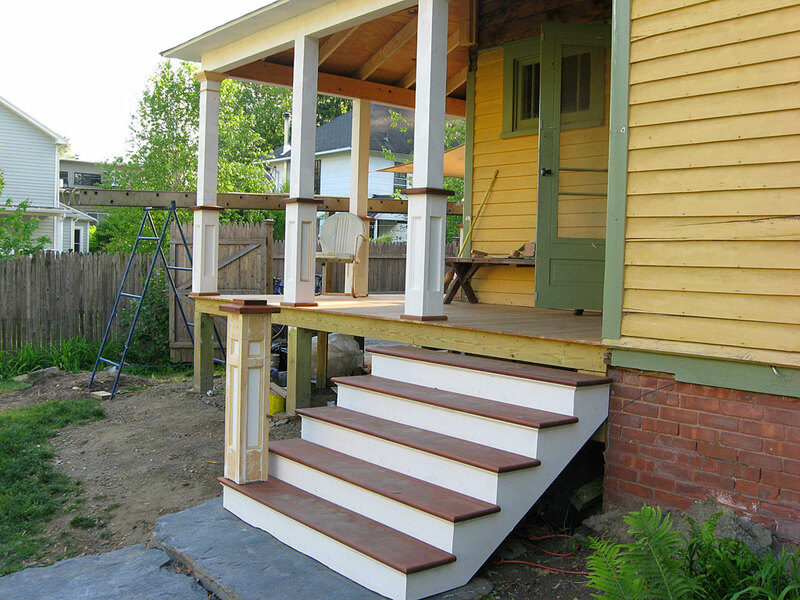 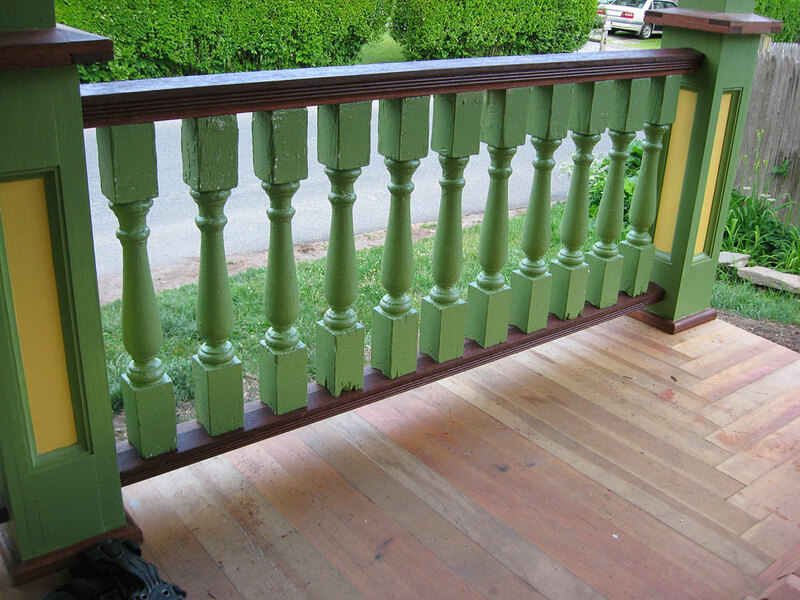 Building a porch is one of the most enjoyable jobs for me and I hope to work on yours someday!